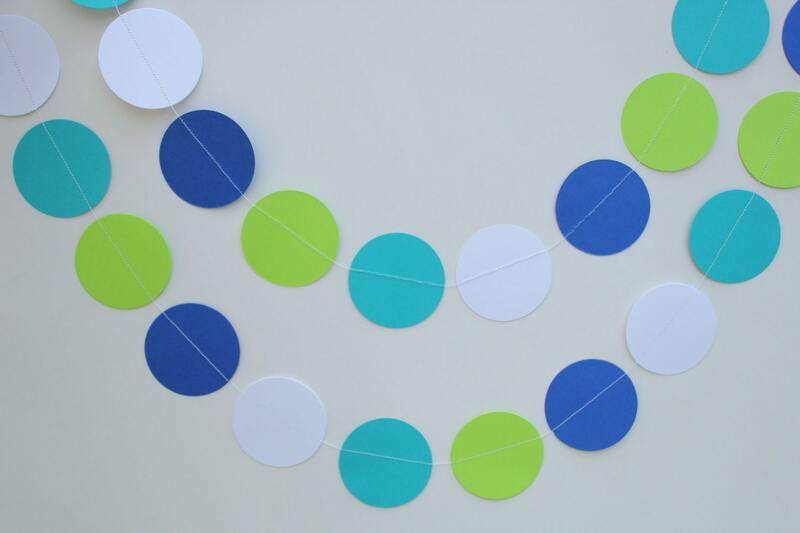 Paper garland makes a great decoration for baby showers, birthday parties and weddings. 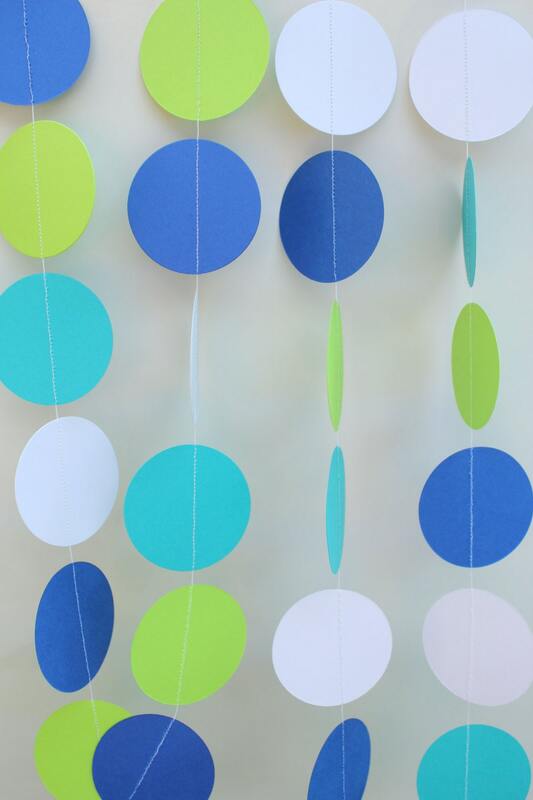 This paper garland is made of card stock paper circles that have been sewn together. 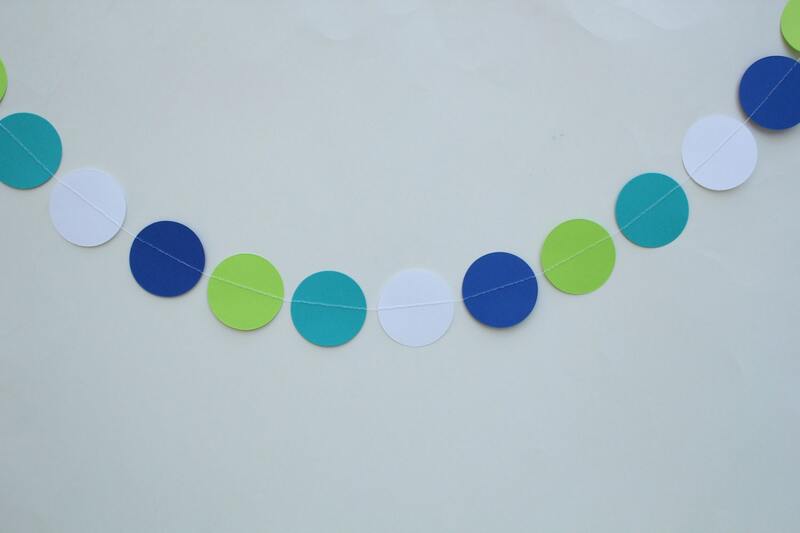 You may choose the length and circle size for the garland. 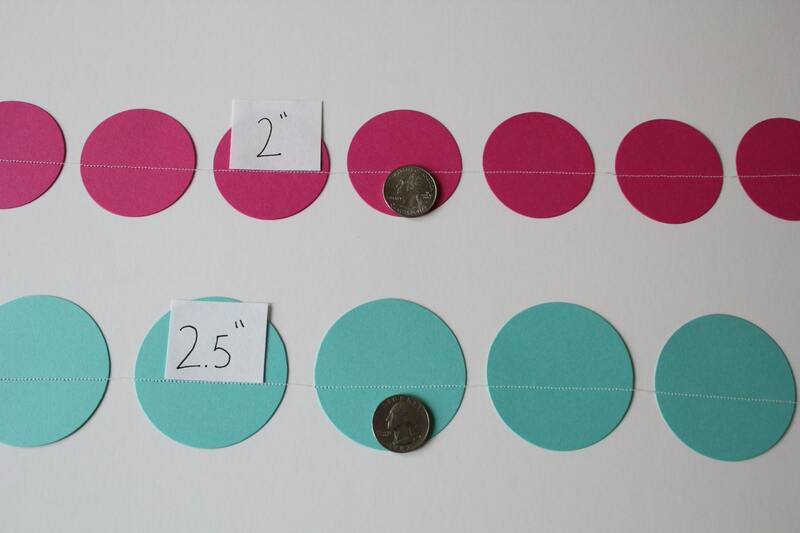 The last photo shows circle size chart. Each end of the garland has a piece of thread that can be used to tape up the garland. The best part is this garland can be easily folded up and reused for another occasion. 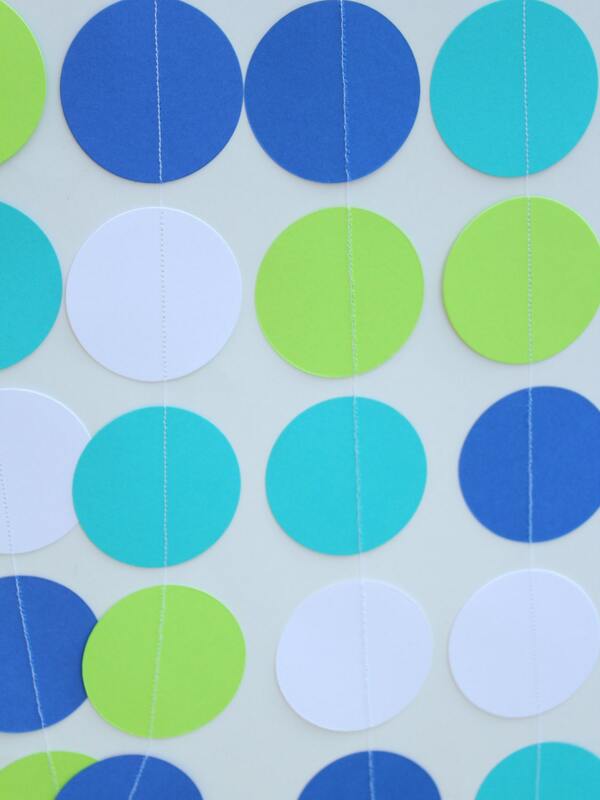 (1) single strand of garland in royal blue, lime, teal and white that has been sewn together with white thread.